CHICAGO — Truth Wins Out today praised Minnesota State Representative Karen Clark, who plans to introduce a bill banning harmful “ex-gay” therapy during the upcoming legislative session. The bill would follow in the footsteps of California and New Jersey, which recently passed bills banning “ex-gay” therapy for minors. 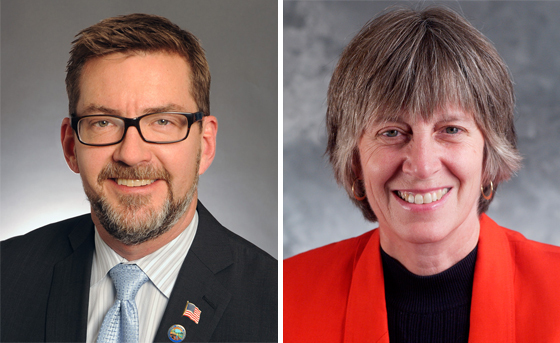 Reports state that a companion bill will likely be introduced in the state Senate by openly gay Senator Scott Dibble. Proponents of “reparative” or “ex-gay” therapy frequently couch the issue as a matter of religious freedom, but as the NALT Christians Project shows, one need not renounce religious faith in order to embrace science and best therapeutic practices for LGBT clients in crisis. Truth Wins Out encourages Minnesota legislators not to be swayed by those who will falsely claim that their religious freedom is somehow threatened by passing a bill that ensures quality mental health care for Minnesotans. If Rep. Clark’s bill passes, it may have the side effect of forcing Marcus Bachmann, husband of U.S. Congresswoman Michele Bachmann, to reconsider his career path. In 2011, an undercover investigation by Truth Wins Out discovered that Bachmann’s Minnesota-based Christian counseling practice was offering a form of that therapy to clients experiencing trauma due to their sexual orientation.